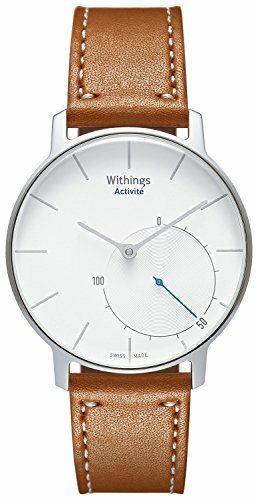 The Withings Activité Sapphire is a Swiss Made watch designed in France, that combines time and activity tracking. Activité automatically tracks your activity 24/7 whether you are walking, running, swimming, or sleeping. The watch also automatically syncs your data using Bluetooth, allowing you to visualize your trends and recieve real-time coaching on your iOS or Android device with the free Health Mate app. A truly unique and stylish tool to inspire and empower a healthy lifestyle.